A “mind” as we know it is non-existing, in the sense that it’s intangible. “To mind” is an action that would be easier understood if spoken as “minding.” It’s quite similar to saying “walking,” but you see after you’re done walking, where does this “walking” go? “Minding” is a process for producing thoughts, an instrument of thinking, while under the control of a consciousness, mind has nearly unlimited potential. The operation of mind or minding interacts on differing level that hypnotists refer to as conscious and subconscious or unconscious. 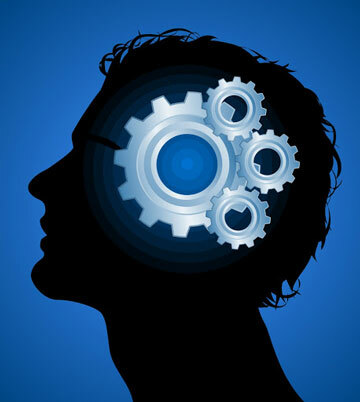 The conscious level is more absorbed inanalytical thinking through figuring things out and how or why things are done. The subconscious portion of mind is more concerned with automatic functions of the body via the brain as well as feelings and emotions. Also enthralled within the level of mind are all collective memories of all that your life has produced and (if you can allow yourself to expand your thinking) all the time you have been in existence as an immortal soul. The subconscious has been proven to be such a powerful motivator because through hypnosis and suggestion one can bypass conscious critical thought, eliminating limiting beliefs and opening unimaginable potentials. No one really knows or understands where the subconscious resides, or even when it becomes active. Some will tell you that it exists in the utero part of the brain, some say it forms a few years after birth, and others say it lives on external realms of your body. The important thing is that the subconscious exists just like electricity exists, and do we all understand how that works??? Most of the problems people have stem from their inability to use the mind correctly. When properly introduced to working coherently with individual consciousness, it not only heals itself, but also heals the body. Throughout this website you will be educated on various paths of “mind control” to learn how to master your own mind. A mind not under control of the Self will have too much freedom to wander and distract with a seemingly limitless amount of mix-matched thoughts that have either little or detrimental value. One the other hand, a mind under control of Self will become quiet or even silent until it is called into action. Is your mind silent or do you constantly bicker with yourself? Hypnotherapy is the ideal vehicle to produce the ever sought after self mind control. It is important to understand that once you are able to get through to the subconscious all you need to do is point it in the right direction, then allow the subconscious it’s time to choose the correct treatment. Learning to trust that your client’s subconscious knows more about what is right for them than you could possibly is one of the hardest things for hypnotherapists today to comprehend. All that is needed to be done in therapy is have the subconscious realize it’s current system is not working and that it needs to now install a better system, it’s that simple. If the Mind creates thoughts, what governs the Mind? The mind is only governed by what I would like to call “Self.” Another way of describing “Self” would be your individual consciousness. As stated before, if the mind is not properly governed by “Self,” then it will be left to run circles around itself as it has no direction to be guided in. Your Self is completely 100 percent unique and the only thing like itself in the universe. The humorous truth in the background is that every other person in the universe has the same uniqueness as you. Wisdom stems from your awareness of your own cosmic individuality. Hypnosis is the art of intangibility. That which is described as intangible is a thing that seems not to be, yet actually is. The great thing about hypnosis is that it creates an intangible mental state of mind, as well as make that which seemed intangible more tangible. Every mental issue human have are intangible in nature. All mental “issues” originate with an imaginary idea or thought that then turns into a belief that something is wrong. That belief then turns into reality as it begins to affect the individual’s behavior. By appreciating this process one can gain understanding and realize how these issues can be reversed. Hypnotherapy provides a vehicle for correcting such intangible disturbances because of the simple fact that the more intangibility advances into awareness the less intangible it becomes. The key to mastering intangibility is appreciating that it must be handled in a controlled and organized manner, rather than allowing the mess that already exists become more than it needs to be. By assisting yourself and others in organizing their inner mess one can create that potential to have their life become an adventure that is worth living. A mind filled with stress can reflect disease (dis-ease) in the body. Inversely, a mind in peace will dissociate from dis-ease. Hold your arm out to your side and make it strong while you think positive thoughts to yourself. Have a friend put pressure on it while you hold it up easily. Now try thinking negative thoughts while doing the same and notice how the strength leaves and your arm simply falls down. Some how your thoughts were able to affect your muscular strength. It is important to understand that ideomotor response is a continuous process that is constantly affecting your body on various levels. Your thoughts alone affect your muscular structure which is much more important than you are aware of. Even your vital organs are composed of muscular structures which can be weakened with negative thinking, so now you can understand that most of the time “we are our own worst enemies,” constantly doing our best to harm ourselves. We can train our body through our minds if we can bring it to purpose. A very common question many who are new to hypnotherapy will is, “What if I have too much will power to be hypnotized?” The answer to this question is that in reality, will power will help someone to go into hypnosis, but if you would want to give a more detail response we will have to explore how the mind functions. Will Power can help some one to be hypnotized because during an induction the will is easily used against the person to only provide resistance to not being hypnotized. However, the will power can have negative affects on the health therapy course if the hypnotherapist did not silence the conscious mind completely. When you are thinking a thought or idea, this is conscious mind activity, just like will power. For a suggestion the hypnotherapist gives to be received, it must be accepted by emotion in the subconscious mind. Will Power can sabotage the suggestions getting through by making the conscious mind more active, therefore suppressing the subconscious. Will Power has absolutely nothing to do with you not being hypnotized, in actuality, will power is used to your advantage to guide you into entering hypnosis. When you think about it, will power is conscious mind activity. Inversely, hypnosis is subconscious mind activity, so the two are in completely opposite realms. Once you get the subconscious to accept an idea, the conscious mind will have no other choice but to follow automatically. Hypnosis is never a question of will power verses subconscious, or weak mind against a strong one. Hypnosis is the privilege and right of learning how to guide or control your mind instead of having your mind control you. Whenever you hypnotize a person, do it with the quiet reassurance that they have the ability to focus all parts of their mind to bring them what they truly desire. Another way of repeating what was just stated would be to say as soon as will falters in the slightest instant against an idea, the idea undoubtedly wins. You can prove this theory to yourself. Try placing a six inch wide by twelve foot plank on the floor of your living room and walk across from one end to the other. That sounds easy right? Yet for some reason it seems to be a completely different story when that same plank is placed between two ten story buildings. “Why is that?” one might ask. The position of the board across a vast plane of emptiness brings up the suggestion and emotion behind a possible fall, most likely to death. Because the conscious possibility is coupled with the subconscious emotion, the idea is immediately accepted by both minds and becomes reality. Using will power a person will try to battle this impulse to fall; the conscious mid will say, “Of course you can walk over that plank, you’ve done it already, easily.” However, the subconscious mind contemplates the danger of the situation, and the more one repeats the idea of “not” falling the more the opposite idea is suggested. This can be attributed to the fact that by thinking about the action of not doing something you have to also know and think about how to perform the action itself. Shortly, you cannot not do something without knowing how to do it first.. Through hypnosis we are capable of switching wrong thought with right; not necessarily fighting or even overpowering the negative thought by creating a type of selective thinking through bypassing the critical mind. Because when a person uses their imagination it is also preferred over their supposed reality.